Restaurant Imbarcadero is located on the western shore of Lake Orta, which is probably less known than the eastern one, because it is not crossed by the main road artery that, from Novara, passes through Borgomanero, Orta, Omegna and up towards the Swiss border . Precisely for this reason, however, this bank retains its unaltered charm, in an environment of rare charm. In this setting, in the pretty and small square of Pella, the restaurant “Imbarcadero” looks out – almost to immerse oneself – whose windows offer a breathtaking view to the guests who will come to dinner here. The view extends from the lake, with the island of San Giulio, to Orta, up to Mottarone, which stands opposite. The restaurant consists of a single room surrounded by a large window and in spring / summer you can have lunch or dinner outside, by candlelight, in a truly evocative and unique environment. It is also possible to arrive for dinner by boat, mooring right in front of the restaurant. It is suitable for romantic dinners for couples, for work, in company, for recurrences of any kind. Here you can really spend an evening in absolute tranquility, in a peaceful, familiar and decidedly pleasant environment. The “Imbarcadero” restaurant has been run by the Ianni family since 1984. 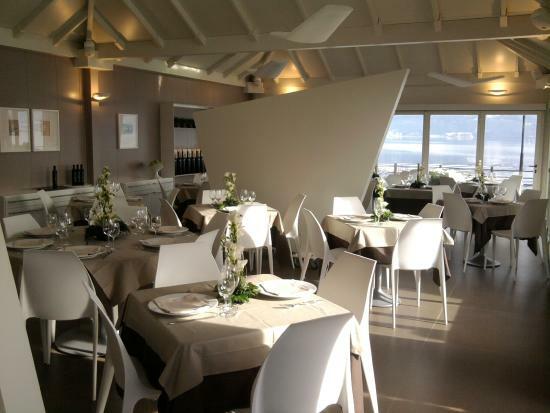 Massimiliano is creative and imaginative chef and will be able to catch you with his dishes, especially fish, who also likes to invent at the moment, based on the tastes and requests of customers, to satisfy even the most demanding palates. To welcome you in the dining room, his brother Gianni, very nice and bubbly, who will advise you the best dishes and wines.